Walnut Grove Post Office and Professional Building, Lake Charles, La. Roof Coating Installer: All-Tech Coatings Division, Romeoville, Ill. The post office and professional building’s roof was refurbished with an airdried water-based Hydropon system. The building’s PVDF prepainted metal roof was in need of refurbishing. During the initial installation of the roof, the installer damaged some panels and applied a touch-up paint in those areas. Within 12 months, the touch-up paint faded excessively, leaving a spotted appearance on the roof. After further investigation, additional surface damage was discovered. 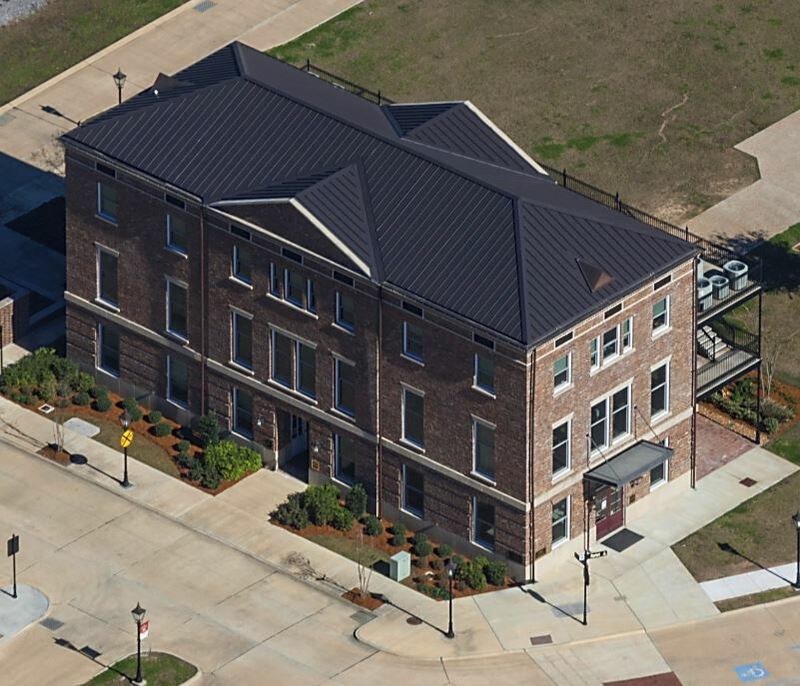 The building owner was faced with a decision to replace the roof after only one year of service or find an alternative economical coating solution that would provide overall performance in the specific climate of Lake Charles. To complicate the decision, the remedy would have to be carefully applied in the open air on an operating post office with patron and vehicular traffic. The building owner chose to restore the roof with an airdried water-based Hydropon system. The surface was properly prepared so the coating system would have excellent adhesion to the original PVDF coating on the roof surface, resulting in an economical labor cost to the building owner. A two-coat application was applied to ensure a uniform and consistent appearance during ever-changing ambient conditions. The final result is a beautifully restored roof that matches the original color and performance at an economical cost and without any interruption to the activity inside and outside the building. Hydropon System Manufacturer: Dura Coat Products Inc.